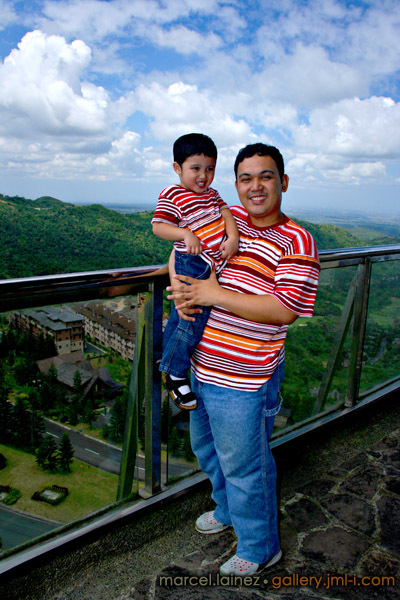 We recently went to Tagaytay Highlands for my sister-in-law's birthday. The food was great and the view was awesome! We had a great time! 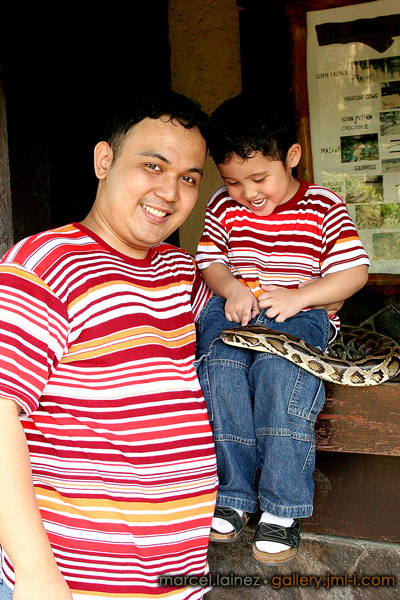 There was a mini zoo, which, my 3 year old son loved, being an animal lover and all. There was a swimming pool, my son forgot his swimming gear, but he went anyways in his undies. Hehe. Lastly, table tennis! Good thing I brought my table tennis gear (two paddles and a couple of balls). Ha! Always ready! Had a couple of games with my brother's in-laws. They did put up a good fight, but still could not match my ping-pong prowess! Hehehe. I definitely had a great time! Winning! Haha! And now, for the photos. What is that on your leg? 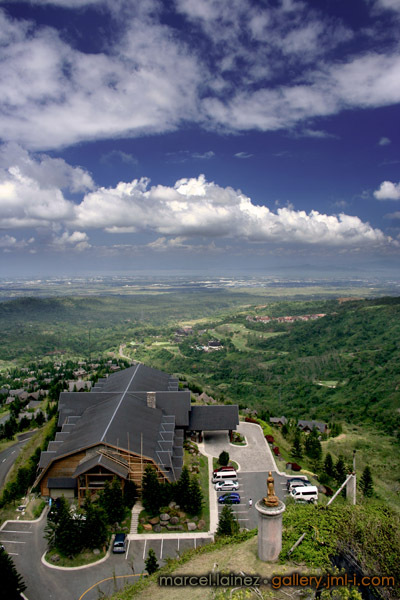 More pictures here, Tagaytay Highlands, including a panoramic view of the whole place.